The HOP is bringing back JAM for the second year in a row with a new twist! This year the concert is outdoors, full of local artists, and COMPLETELY FREE. 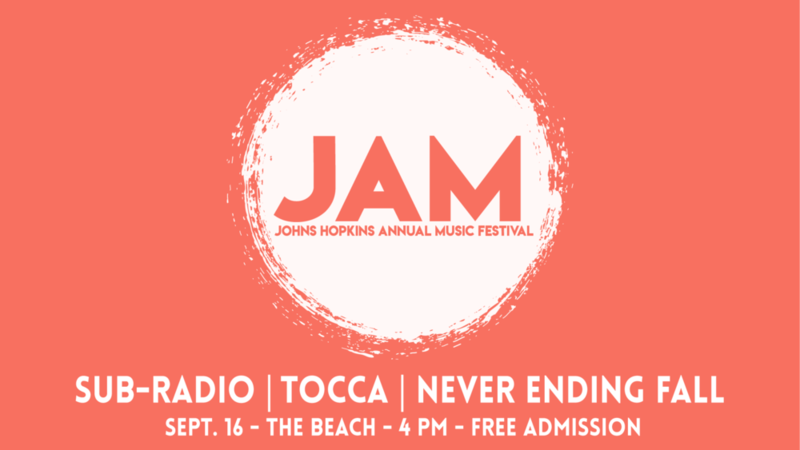 Performing will be Sub-Radio, Tocca, and Never Ending Fall (NEF). Come out for some food trucks, lawn games, and a good time. We cannot wait to see you all there! PS: NASA HOP Tanks will be given out at some point during the performance!